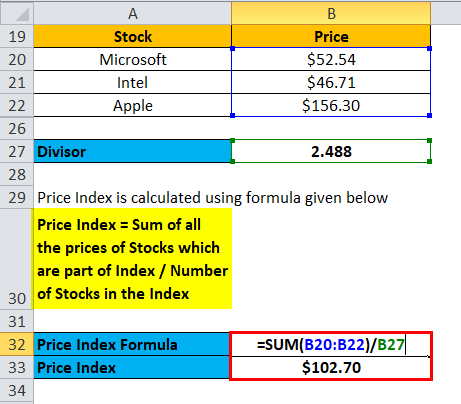 A Price index, also known as price-weighted indexed is an index in which the firms, which forms the part of the index, are weighted as per price according to a price per share associated with them. 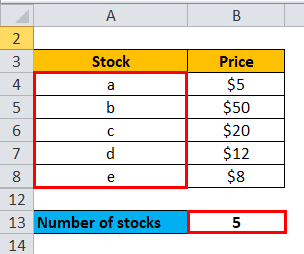 Each stock will influence the price of the index as per its price. 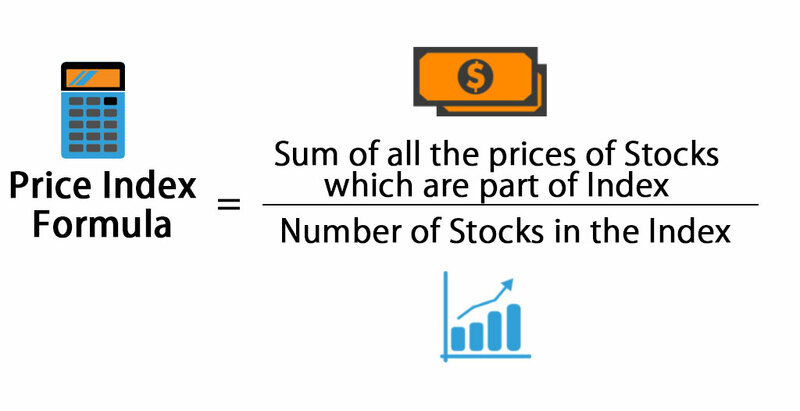 In other words, we can simply say that Price-weighted index is arithmetic average of all the stock associated with the index. 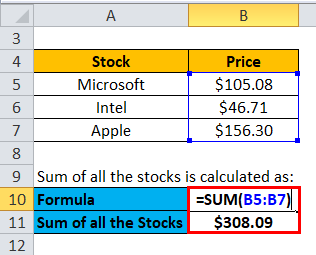 Due to the arithmetic average formula, you can see that stocks which have higher prices will dominate and will have more influence on the index than stocks with lower prices. 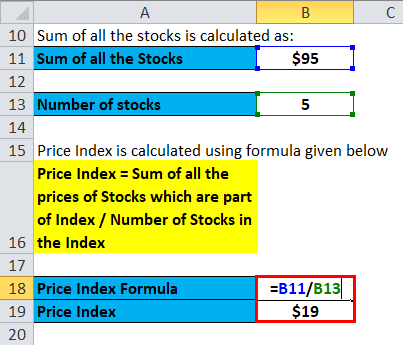 The much well-known stock market index is based on the price index formula. Dow Jones and Nikkie 225, which are the two most famous stock indexes are a few examples of price-weighted indexes. 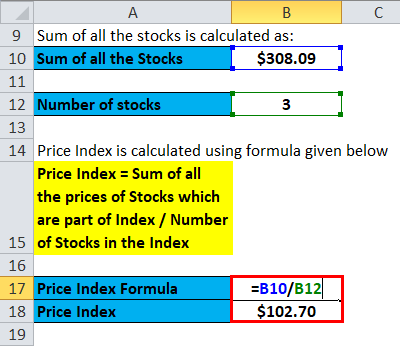 Let’s take an example to understand the calculation of Price Index formula in a better manner. 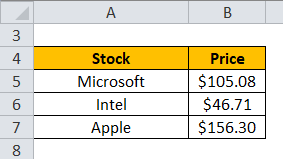 So, if you see, a 15% increase in higher price stock will move the index by 7.6% whereas the same % increase in lower price stock has less impact on the index price. Assume that Microsoft split its stock in the ratio of 2 for 1. 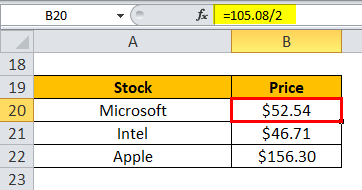 So accordingly the new price for Microsoft share will be $105.08 / 2 = $52.54. 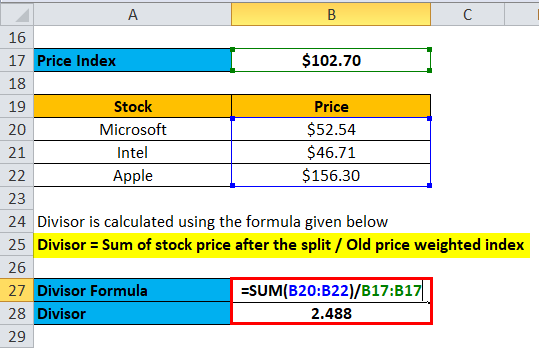 Price weighted index straightforward way to calculate an index price. 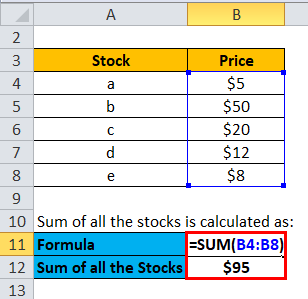 You just simply add all the stock prices and divide it by a number of shares and you are done. But in Price-weighted index method, stocks which have a higher price will have more influence on the price of the index. The index price will be biased towards heavy stock and its price will be close to those stocks. So big change in small prices will not move the index much which will give us misleading information. Similarly, when a company goes for a stock split or spin-off, this method will not be as simple as it seems and it needs adjustments. 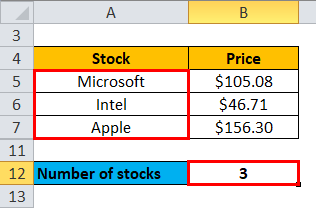 This can become very messy if we have a large number of stocks in the index and we need a lot of adjustments. The fact that the experts in the finance industry and financial institutions choose S&P 500 as a benchmark instead of Dow Jones which is price-weighted index shows that they do not have much confidence in the price-weighted method. This method although is simple and easy to understand, it does not have much practical relevance due to its limitations. 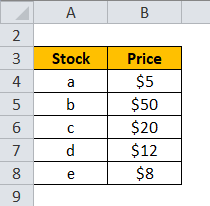 You can use the following Price Index Calculator.